This, too, is technical communication, and it enters perfectly into the “humanist nerd” camp. This TED talk has made a few rounds, but is worth viewing, or reviewing. Jill Bolte Taylor is a brain researcher who got an insight into her own field through her own stroke. While this kind of occurrence is dramatic, it is not in itself that exceptional. Many bright people who are researchers have had insights into their own research through a personal accident – the most well-known probably being Sir Isaac Newton’s famous apple. The clarity of the explanation – the technical content. The personal point of view – she describes each of her senses shutting down, one by one, from a first-person point of view that has rarely been possible. The emotion that suffuses the presentation. She manages to communicate an intense personal experience with all its sensations, and at the same time be clear about the scientific part, and for the most part (perhaps not so much at the very end), she manages to keep both clarity and a certain kind of precision in her content, and to convey the human experience. We technical communicators have come from what used to be called “technical writing.” We forget, sometimes, that the written word is just one means of communication. We also communicate orally (presentations, webinars, etc. – see my previous post about my experience delivering a webinar for the first time, for example). The quality of the technical part of the communication – and its ability to stay in the memory of our audience – can often be a function of the human impact (humanistic impact) that it carries. While this example is probably at the extremes of such a communication, and while some might even criticize the excess of emotion and loss of objectivity, particularly near the end of the talk, it remains a vivid illustration of just how powerful a technical communication can be. This entry was posted in Recommendations and tagged Communication, Content, Humanities, Intuition, Lessons learned, Style, Technical Communication, Transformation. Bookmark the permalink. We think alike: http://www.mardahl.dk/2008/04/06/fantastic-insight-into-a-collapsing-brain/ I was completely captivated by her talk. I like how you’ve highlighted the three key areas that make her talk such a success. 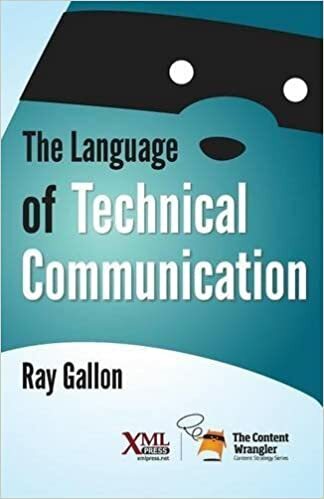 I also agree wholeheartedly that there are countless examples of learning good technical communication that are not packaged in a clearly techcomm package. Sometimes it is more fun discovering good examples in directions that seem way outside our comfort zone or normal grazing areas. Interesting to read your post and the responses, as they are a few years old. I only discovered her recently. Have downloaded the book from Amazon, and have started it. Multi-task reading with a lot of other stuff. As technical communicators, our job is to render technical information lucid, vibrant and useful for people. I’d say Jill Bolte Taylor bats 1000 on all points. Hmmm. I was suspicious about those comments. They fall suspiciously close to those trawlers that comment only to drive traffic to their own sites for Google reasons. I let them stay. WP hadn’t banned them, and I feel I have strong spam filters. In other words, I’m not sure how real those comments are. Still, it is a powerful story. The tale is definitely a fascinating one for tech comm people. It is an example, as you point out in your very first sentence, of technical communication. For me, this proves tech comm examples are all around us and not just in a classic “user manual”. It’s the keeping our eyes and ears open that will keep up updated and prepared for the Next Big Thing.